This event is at capacity and we are no longer accepting registrations. For those that have registered, please look for an email with event specifics soon. 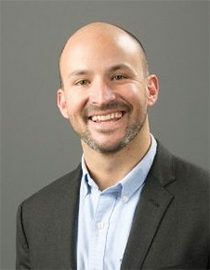 Adam Sterling is the Executive Director of the Berkeley Center for Law and Business at Berkeley Law and co-founder of Startup@BerkeleyLaw. Previously he was a startup and venture capital attorney at Gunderson Dettmer and the co-founder and director of the Sudan Divestment Task Force and Conflict Risk Network. Adam teaches about blockchain and venture finance at UC Berkeley’s Haas School of Business, and has been a featured speaker in many panels. Adam’s writings and work have appeared extensively in the press; including contributions to The Wall Street Journal, The Financial Times, The New York Times, The Los Angeles Times, The San Francisco Chronicle, and National Public Radio. He has appeared on a number of broadcast news programs, including CNN’s Situation Room and CNBC’s Street Signs. Blockchain is one of the most significant technological advancements for businesses in many years. 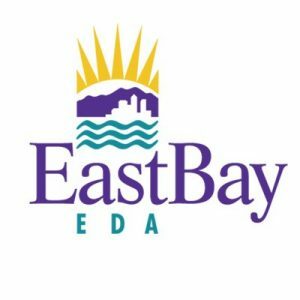 Executives from Bay Area businesses that are international or looking to grow globally should attend. Blockchain has a huge range of potential applications to domestic and international business. Join us for a dynamic conversation about blockchain applications, regulations and how to gain a better understanding of how blockchain can impact your business. With so many applications , blockchain is poised to help companies in multiple ways, from expanding operations to strengthening customer relations. Enjoy a tour of the Port prior to the discussion, and continue the conversation at a no-host reception to follow. 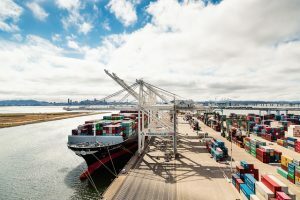 We are working in partnership with the Port and City of Oakland to bring your business valuable resources and support to help you establish vital international trade connections. Contact Kim Todd at ktodd@norcalwtc.org for more information.